Hey there! Thanks for dropping by Miracle Waters Ministry – Laurie's Blog! Take a look around and grab the RSS feed to stay updated. See you around! I am very excited~! I can’t wait to hold the book in my hands~! Unfortunately, something so simple can get complicated…really fast. With thousands of books and seminars available—all trying to give you the secrets to a more purposeful life—you might be asking: Is it really this hard to know who I am and what I have been put on Earth to do? 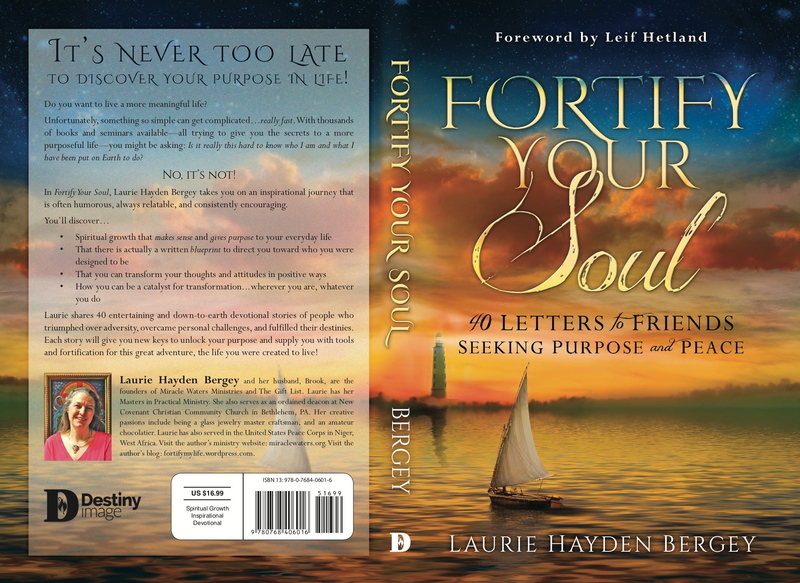 In Fortify Your Soul, Laurie Hayden Bergey takes you on an inspirational journey that is often humorous, always relatable, and consistently encouraging. Laurie shares 40 entertaining and down-to-earth devotional stories of people who triumphed over adversity, overcame personal challenges, and fulfilled their destinies. Each story will give you new keys to unlock your purpose and supply you with tools and fortification for this great adventure, the life you were created to live! Laurie Hayden Bergey and her husband, Brook, are the founders of Miracle Waters Ministries and The Gift List. Laurie has her Masters in Practical Ministry. She also serves as an ordained deacon at New Covenant Christian Community Church in Bethlehem, PA. Her creative passions include being a glass jewelry master craftsman, and an amateur chocolatier. Laurie has also served in the United States Peace Corps in Niger, West Africa. Visit the author’s ministry website: miraclewaters.org. Visit the author’s blog: fortifymylife.wordpress.com. Brook and I drove out to Harrisburg for our graduation ceremony on 4/14/11. 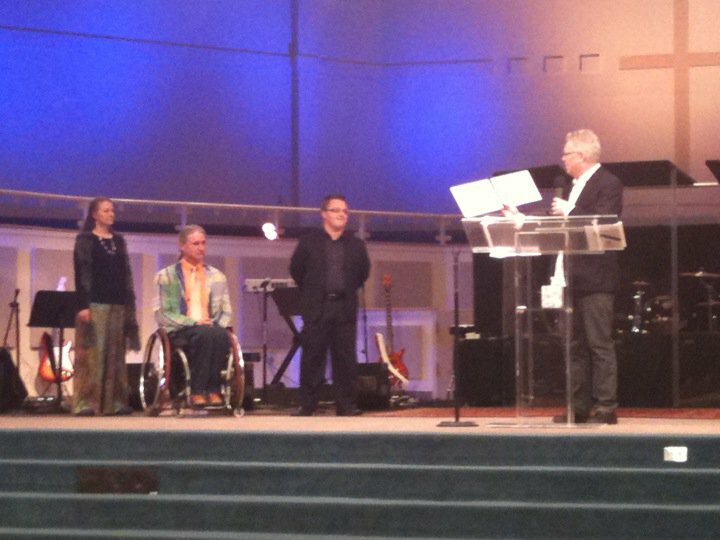 This is a photo of our “graduating class”, with Randy Clark, receiving our diplomas. The other guy is Timothy Berry. All three of us were there for our Masters. It was a fun day. We heard a message from Graham Cooke after receiving our diplomas. Graham Cooke is an amazing public speaker. Never miss an oppurtunity to hear him speak if you get a chance~! He really does challenge me to live a life steeped in the goodness of God…. to do warfare by laughing and praising and singing happy songs… WOW. Then Brook and I went out for pizza. We can’t even remember the last time we had pizza. I mean that literally. We discussed it at dinner. We figured we probably hadn’t had pizza within the last year. I got my diploma. It finally came. I am completely finished with my Master’s In Practical Ministry~! It was a good bit of work, but much more fun. Brook and I like to joke that we majored in miracles. 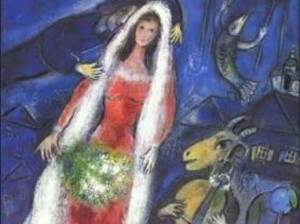 We studied so many courses about the supernatural acts of God, and how He likes to incorporate man into them. The diploma is fabulous. If you look at it closely, you can see that it was signed by three amazing men: Randy Clark, Che Ahn, and Peter Wagner. 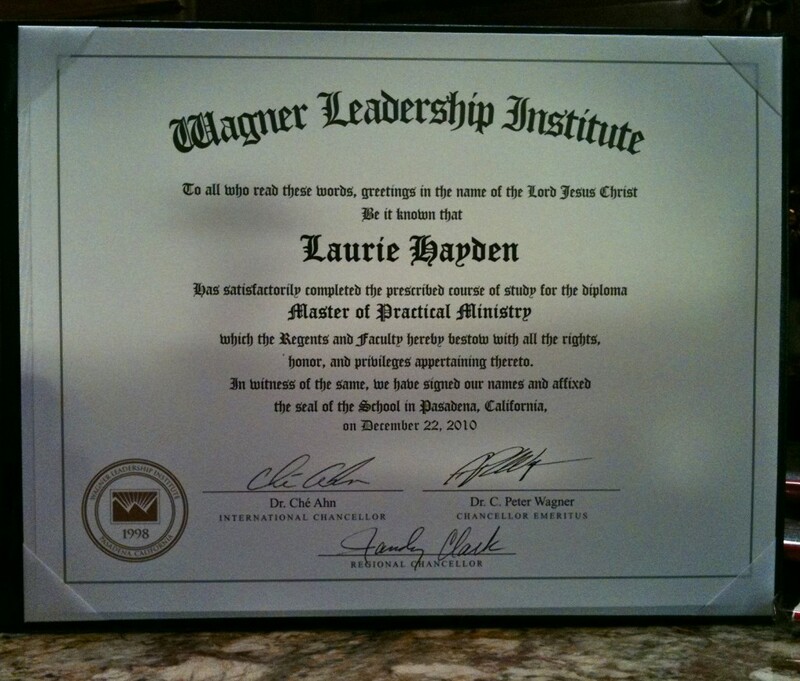 If you click on the diploma, it is a link which will take you to Wagner Leadership Institute, the only school in the world that had the EXACT program we wanted to study for a Masters in Practical Ministry~! We did it~! The diploma came on February 15th, like a Valentine’s Day gift from God. We actually finished all of our work last June of 2010. But, since I wrote a book as part of my studies, it took a long time for the last of my “papers” to get graded. Next Thursday we will head to Harrisburg to have our official graduation ceremony, at The Voice of the Prophets conference. I work with my hands. Sometimes I can put my brain on auto-pilot and just create. As I do this, my mind goes adventuring. It can go down all sorts of paths. My favorite is the path of righteousness. Ya see, God is so much better than we usually give Him credit for being. Well, I have been on break for a few weeks now. The things I have been doing are involving more attention… no auto-pilot. So I find that I am starting to miss my anchor. I want my iBTV~!~! The messages I get at iBethel are mind and spirit boggling. I need to make time to listen to these messages. I need to bask in the goodness of God. Come listen. Taste and see that the LORD is good. Product Description: Through years of personal experiences and witnessing supernatural, the author offers keys to living naturally supernatural. This book is an invaluable resource for those pursuing a life beyond the ordinary. 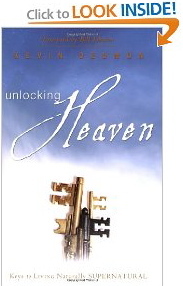 Each page will release an impartation propelling you to the next levels as a world-changer revivalist. About the Author: Kevin Dedmon’s traveling ministry focuses on equipping, empowering, and activating the Church for supernatural evangelism through signs and wonders, healing, and the prophetic. He earned a Master’s degree from Vanguard University, and has been in full-time ministry for more than 25 years. He and his wife are part of Bethel Church pastoral staff in Redding, CA. 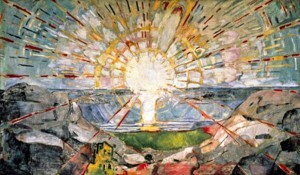 This is mostly inspired by the healing ministers Charles and Frances Hunter (http://www.cfhunter.org/). Brook and I pray some variety of this prayer over our bodies every day. We may lay a hand over our brain, or any area that might need special attention. We’re pretty darn healthy, and we rarely catch any colds or viruses. “I command every chemical and electrical frequency in every cell of my body to be in harmony and in balance. I cast out/ digest/ and slough off everything that is not from You, Lord… including thoughts and moods.” We attempt to do this in the power and likeness (the “name” of) Jesus. 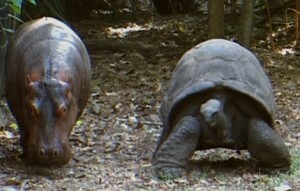 I am such a sucker for these stories in which animals make best friends with, or become adopted parents to other species. 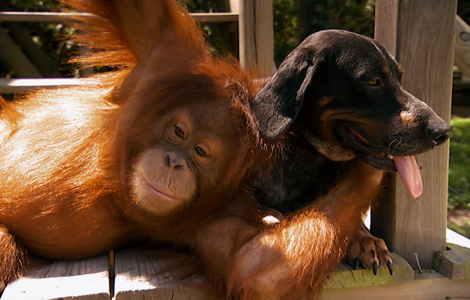 You have got to see the orangutan & dog hugging, playing, swimming, eating together. Cute! The Orangutan and the Hound Dog… See the video… click here. I heard a super interview. 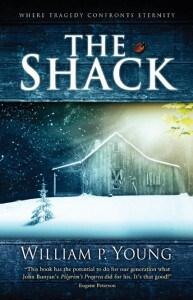 The guy who wrote “The Shack” is being interviewed by on of my favorite pastors. The interview made me break down (finally) and read the book. The book has me totally gripped. I’m about 1/2 way through it. I can see why this book has sold appx 6 MILLION copies – which really is a mind boggling number. 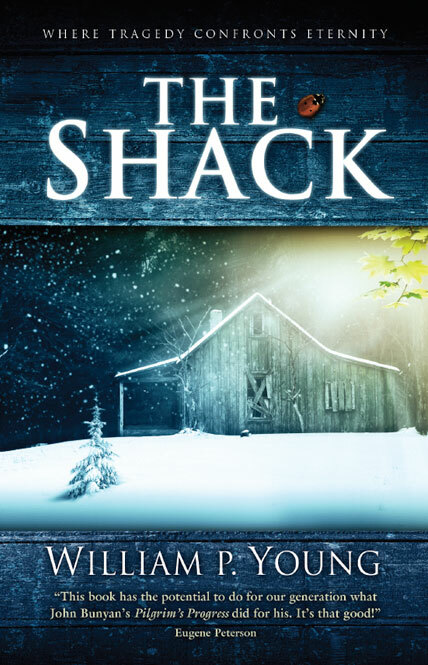 So, I do recommend “The Shack”, but I really strongly recommend this interview, as well. You will have to follow directions to get to it, though. From the link I will provide, go into the Media Player, then open the Interviews section. You will be blessed. Make time for this! This book and author are doing very important Kingdom work. 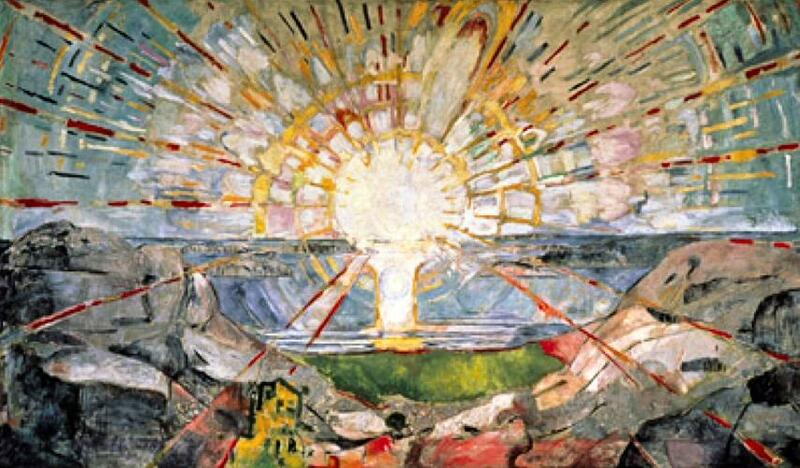 It would be good to be informed to discuss this God-box exploding work of fiction. Click on “media”, click on “interviews”, choose Paul Young Interview. Oh, I loved this interview! I have heard Wm. Paul Young speak about his personal testimony, and the testimony of the book. I could listen to those stories again and again. They are anointed! 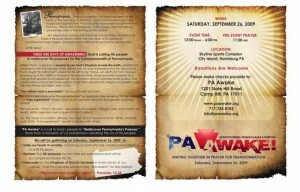 Brook spent some time promoting the PA Awake event. He was totally fired up about it! We thought that event sounded compelling, so Brook talked to our Pastor Jack Grobleski about promoting it at chucrh. It turned out that Charles Stock had called our very ownPastor Jack about being the Lehigh Valley connection for this event, but he was going to be out of the country. Brook said he would love to do what he can to draw more attention to an event that seems like it would be so beneficial to the spiritual state of our state. He got the information packets and took them to two Pastors’ Meetings around the Lehigh Valley. 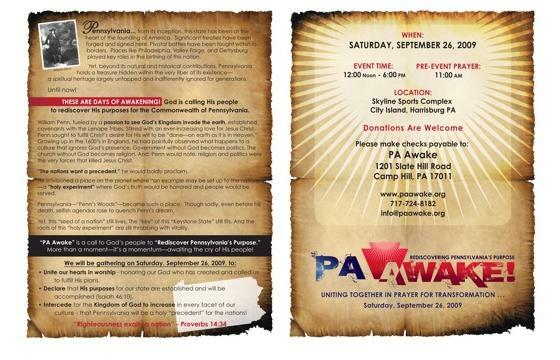 Some of those pastors made announcements at their churches and we ran into them out in Harrisburg. It was a rainy day – but a powerful day. Lou Engle was even there. Here are some videos about the spiritual history of Pennsylvania. It is more God than many of us might have guessed. We have a rich spiritual heritage under our feet! Listen as Pastor Charles Stock shares about the history of William Penn and the dream God put in his heart. I was reading about torch juggling. When one starts to learn this fun talent, they use lighter fluid to burn on the torches. It is safer because it burns at a lower temperature than some of the other fuels. Personally, I can’t even juggle one item which is not on fire! (This guy is better at it: (http://www.youtube.com/watch?v=VW6OlgCSX6A) But, what I am really digging for in the spiritual realm is how brightly, or how hot do we want to burn? How intensely a fire needs to burn may depend on the task at hand. Tin melts at 450 degrees. To melt gold you need a fuel that fill burn at over 1946 degrees. Tungsten melts at 5432 degrees. I want my heart and life to burn hot and bright. The women who just came back from the Beautiful One conference (8/09) are quite fired up, too. They are getting breakthrough in hearing from God in a new way, and accessing greater joy. I am convinced that this kind of conference is like a diving board that leads us right into the deep waters of Ezekiel 47. Ok, I know i just mixed fire and water… but there are torches/fuels that burn under water! (http://www.youtube.com/watch?v=mvBG_Ly-2I8) Oh, the glorious mysteries of our magnificent Creator! The Voice of the Apostles conferences are my personal favorite of the Global Awakenings conferences. Miracle Waters Ministries was born at VOA-07. All that to say, I would recommend making this trip!